Two co-workers of Montpelier Chapter 270, Women of the Moose, received special honors during the May 16th chapter meeting. Nancy Byers, Sunshine Chairman, was announced as the chapter’s Co-Worker of the Year for the chapter year ending April 30th. Terri Groll was recognized as the Top Sponsor of the 2012-13 chapter year, having sponsored a total of 10 new members. Both were presented with appreciation gifts from the chapter. All sponsors were thanked for helping the chapter succeed in achieving an increase in membership for the past year. Pictured from left to right are Recorder Reynalda McKinney, Co-Worker of the Year Nan Byers, Senior Regent Candy Clements, and Sponsor of the Year Terri Groll. Congratulations to these two special Women of the Moose members. 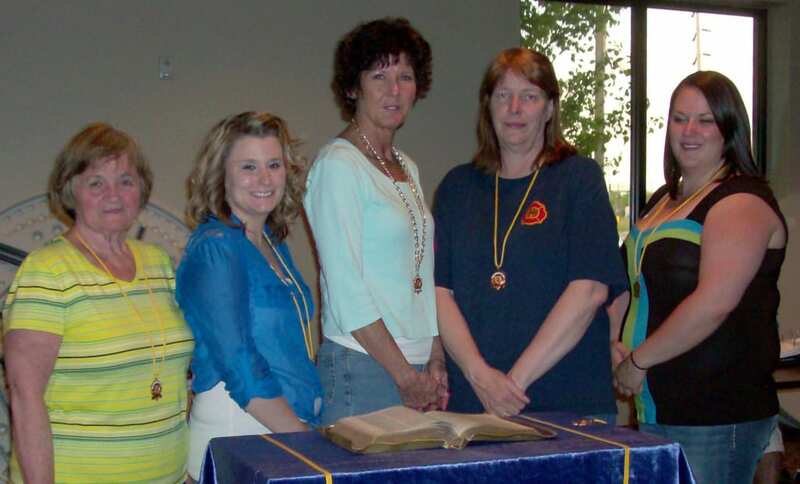 Candy Clements was installed as Senior Regent for the 2013-14 chapter year for Montpelier Chapter 270, Women of the Moose, at the May 16th meeting. Also installed were several chapter committee chairmen. 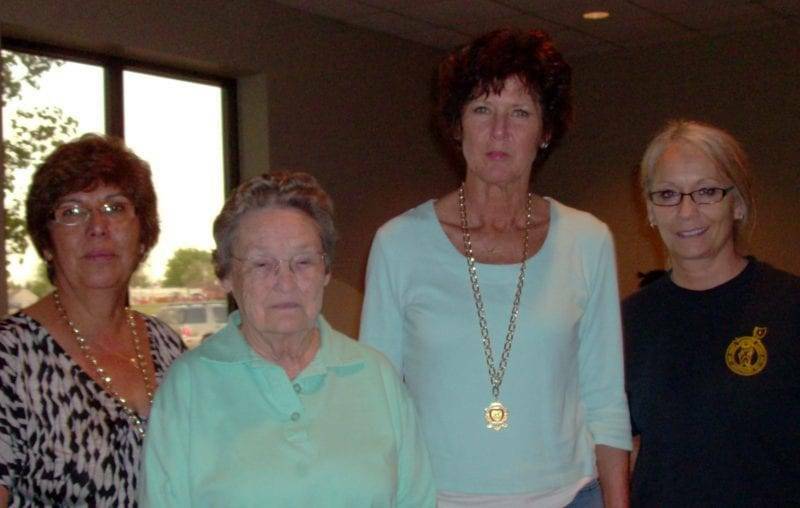 Pictured from left to right are Jill Beck, Moose Charities Chairman; Jerika Spangler, Health Awareness Chairman; Senior Regent Candy Clements; Ginnie McMillen, Academy of Friendship Chairman; and Jennifer Spangler, Publicity Chairman. Serving as Installing Regent was Joyce Schelling. The next regular meeting of the chapter is scheduled Thursday, June 6th at 6:30 p.m. when the Publicity Committee will be honored. Regular chapter meetings will begin at 6:30 p.m. first and third Thursdays of each month. Be the first to comment on "Candy Clements Installed New Montpelier WOTM Senior Regent"